Brian Duffy is a past pupil of St. Jospeph’s Patrician College, Galway and holds a B.Comm. degree from NUI Galway before qualifying as a Chartered Global Management Accountant (CGMA). A Fellow (FCMA) member of the Chartered Institute of Management Accountants (CIMA), Brian’s commitment to further education and learning is underpinned by his pursuit of other relevant qualifications. He has completed an MBA from Manchester Business School, Manchester University, and received the accreditation of Chartered Banker (CB) from the Institute of Bankers in Ireland. He also holds the Qualified Financial Advisor (QFA) from the Institute of Bankers in Ireland and regularly keeps up to date with the latest developments by completing continuous professional development courses. Brian has worked in the accountancy profession and financial management and control in industry, the charity sector and and private practice and in the financial services sector over the last 23 years. 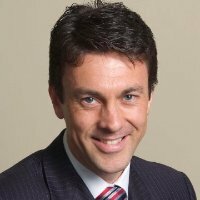 Brian holds a number of voluntary positions and is past chairperson of the CIMA West of Ireland Branch and served as a member of the CIMA Ireland Board between 2009 and 2013 during which time Brian was CIMA Ireland’s representative at the Companies Registration Office Accountant’s Forum. Brian has participated as a mentor and adjudicator for the undergraduate ICE program for Commerce students in NUI Galway in 2011 and 2012. Brian has also been a member of the Judging panel for the SCCUL Entrepreneurial Awards in 2011-2015 and is a current member of the board of directors of SCCUL Enterprises CLG. Brian is a past member and treasurer of the Corrib Lions Club, Galway between 2012 and 2018. Margot Heapes is a past pupil of Loreto Abbey, Dalkey, Co. Dublin. She holds a B.A. from U.C.D. in Economics and English, a Diploma in Legal Studies from the College of Commerce, Rathmines, as well as a number of Institute of Banking exams. Margot was previously employed with AIB Bank where she held the position of Relationship Manager across a number of locations in both Dublin and London. Having taken time out to rear her young family, Margot has recently joined Tri Everest Wealth Management Limited. Since joining the company Margot has successfully completed her QFA exams and also obtained the Professional Certificate in Asset Management. She is currently undertaking Graduate Diploma in Financial Planning with a view to achieving the international designation Certified Financial Planner. Margot has held a number of voluntary positions in Galway over the past few years where she served on committees for both The Bish and Salerno secondary schools, as well as St. Patricks N.S. and Scoil Ide N.S.